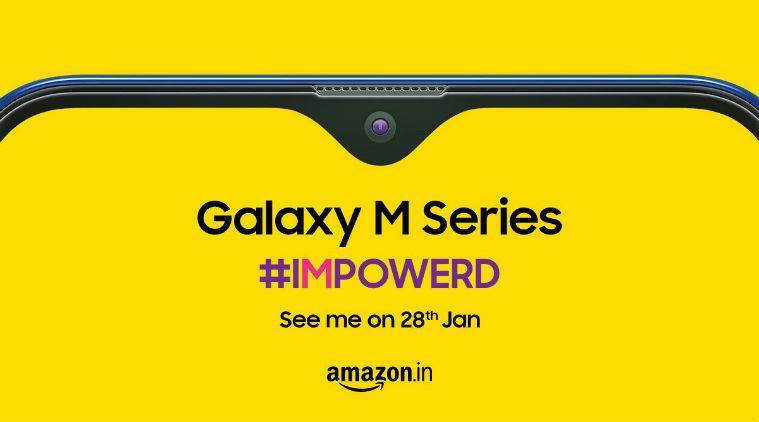 To keep the Chinese rivals at bay Samsung is all set to launch its Galaxy M series smartphone in India on January 28, The devices will be exclusively available at Amazon India and a micro site has already been set up which confirms it’s infinity-v display. The series will be launching with 3 distinctive models ranging from entry level M10, M20 to mid-range M30, with prices yet to be confirmed it is expected to start from as low as Rs.9500. The smartphones will be up for sale with its formal launch on January 28. The main selling point of the devices will include infinity-v display panel which will sport a cutout for its selfie camera to be in trend with water drop notch style on current stream of smartphones. While the final specs have not yet been confirmed it is expected to sport new powerful ‘SOC’, AN USB type c port and enough space for a 3.5mm audio jack, at least one of device is expected to feature dual camera setup. With the launch of new series Samsung look to claw back the market share it had lost to Xiaomi.